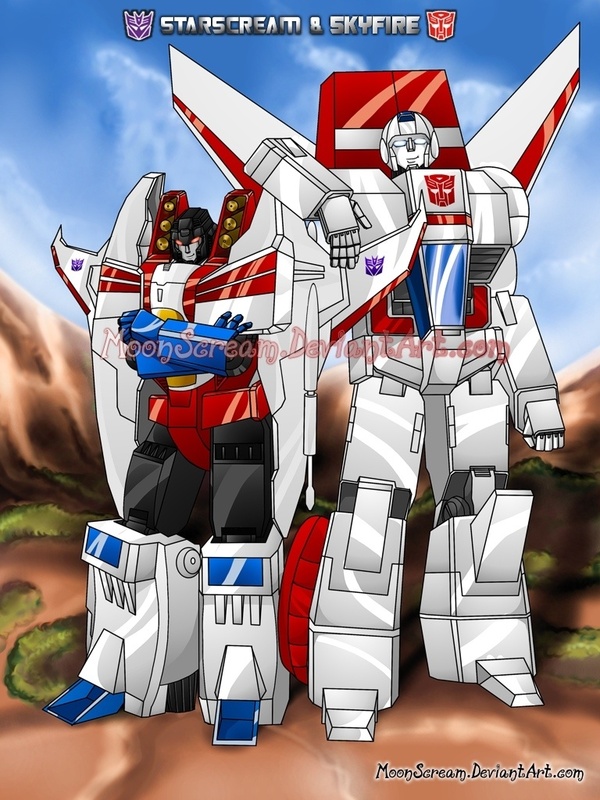 Originally, this was done as a tribute to a roleplay a friend and I had where he played Skyfire and I played Starscream, who remained friends despite being on opposite sides. It was a tribute to the two characters, their friendship, and ours. I do hope I find time to recolour this, as it is one of my favourite Transfomers drawings that I ever did. It was done in Corel Photo-Paint.